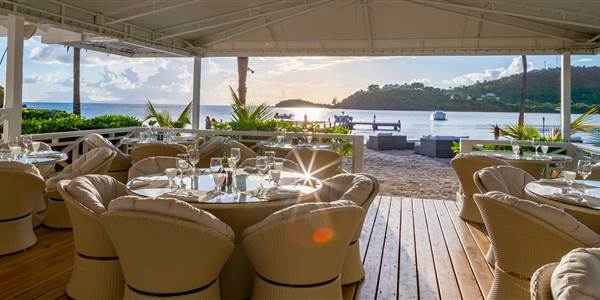 The Jetty Grill boasts another superb setting, overlooking the Carlisle Bay jetty and those clear blue Caribbean waters. Adult-only dining, it still retains a relaxed feel making the most of the unrivalled views and gentle sea breezes. The rich aroma of grilling meats, fresh seafood and a carafe of fruity wine mix with that particular smell of sunshine and sea to create a lasting holiday feeling. This is a great place to sit back and enjoy simple yet exquisite food in good company in that special unhurried atmosphere of the Caribbean. Dinner reservations are required between 7.00pm and 9.00pm.